FREE LOCAL DELIVERY within 10 miles of our shop on orders over £250 during the months of January 3rd - October 15th. Range is 10 miles from BS7 8AR. Silver service delivery service. We will call you ahead of delivery to make sure you are in to take delivery. October 16th - January 2nd incurs a fee for delivery, price available at checkout. 10-50 miles of our shop on orders over £250. Please call for delivery price from January 3rd - October 15th. This will depend on the quantity of fireworks and the distance. 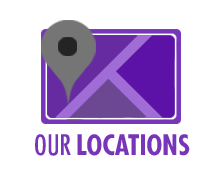 We aim to help, and will try hard to deliver to you. We can deliver up to 50 miles from Bristol. Please call to discuss delivery costs and details. With local deliveries we can often deliver the same day at an agreed time (including evenings). Same day local deliveries will be chargeable from October 15th-January 3rd due to high volume and may be subject to availability of delivery drivers. Buy early & save. You can choose any fireworks listed on our website. FREE CLICK & COLLECT. If you prefer you can collect your fireworks from our retail outlet (BS7 8AR). Feel free to visit our retail locations to collect fireworks. 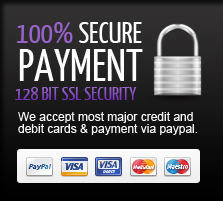 Payment is processed through our secure checkout. Superstars Trading Ltd will be the name on your credit card statements. Cash on delivery is an option for local deliveries, please call to arrange. Outdoor Fireworks MUST be signed for by someone who is 18+. We will not leave fireworks unattended, so again you must be available to sign for your fireworks. If you will not be in please provide us with a secondary address/work address at time of the order, or phone 0800 0433597. 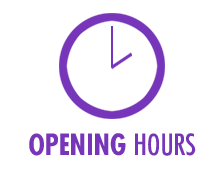 If you have any questions about delivery please call our hotline 0800 0433597 / 0117 3731422. We are unable to ship to Scottish Highlands, Isle of Man, Isle of White, offshore or international. We process orders Monday-Friday. Orders received before 4pm are processed same day. Your payment must be completed prior to dispatch. Please leave us a valid telephone number or email address to contact you in-case we have problems processing your payment. If you would prefer to collect your fireworks to save on the carriage, please choose the appropriate delivery option at check out. You may have your fireworks delivered to an alternative address if you will not be in to collect them. In this case please fill in the alternative address form when you check out. We may need to contact you to confirm, as occasionally this is a sign of fraudulent behaviour. This may delay delivery. We reserve the right to post to the billing address to protect genuine customers. We reserve the right to change delivery method. If the courier is unable to delivery the package because no one is in to sign for it, they will leave you a card. You will need to contact them to schedule re-delivery or collect from their depot. If your order is fireworks then a re-delivery charge of £20 will be charged by the courier, we do not make anything off of this charge. If your order was indoor fireworks or other non explosive product it will be shipped with Fed-Ex/Royal Mail Next Day service. If you are unable to sign for your item they will leave a card for FREE re-delivery or collection at their depot. If you receive your package and it is damaged then do not sign for it. Report the item as damaged to us immediately so that a claim can be made to the delivery service. Our hotline: 0800 0433597. If a package is returned to us (either item was unable to be delivered, item was not collected or re-delivery not attempted, customer refused delivery,) the original postage and any return postage incurred will be deducted from the refund.